Saturday 9:30am: Hot Pod's Nick Quah, Bloomberg's Jean Ellen Cowgill and The Atlantic's Kasia Cieplak-Mayr von Baldegg on new media formats. Saturday 12:30pm: The New York Times' Meredith Kopit Levien, CNN Digital's Andrew Morse, and BuzzFeed News' Ben Smith on the future of news. Sunday 11:00am: CNN Digital's Christine Cook, BuzzFeed News' Shani Hilton and Twitter's Nick Sallon on reshaping the business of news. 2019 has seen massive shifts in the way big countries reckon with the future of the web, a departure from years of optimism. Why it matters: The next version of the internet could be balkanized by two emerging trends. Autocratic regimes are looking to increase censorship. New internet tech, such as blockchain and 5G, is heating up conflicts between the U.S. and China. Driving the news: India recently announced a proposal that would install a Chinese-style of internet censorship ahead of its elections. Elsewhere, nations are using election security risks and geopolitical threats as a means to introduce heavy-handed censorship rules. Russia is considering a plan to temporarily disconnect from the internet as a way to test its cyberdefenses. President Vladimir Putin has indicated that the country is mulling creating an autonomous Russian internet in the event that foreign adversaries cut off Russia from their networks. Some African nations are continuing to use censorship to manipulate elections. The Democratic Republic of Congo and Nigeria, for example, have faced international pressure to reduce efforts to censor or shut off the internet ahead of elections. China has long used a firewall to block access to certain sites from being accessed within its borders. Some users try to avoid such barriers by using illegal VPNs (or network access points). Blockchain: Some experts see blockchain, the open-source technology that powers bitcoin, as a tool that will drive the expansion of an open web. 5G: The fifth generation of mobile connectivity (5G) will be so much faster than the current network (4G) that experts think the first region or corporation to create an expansive 5G network will create its own version of the web. "This is a fundamental strategic competition for who builds the platform for the next round of the internet. That is just as important if not more than who builds the state of the art harbors, railways and highways over the next 20 years ... I think it is the biggest strategic issue that overarches everything else." Share this story, by Axios' Alison Snyder and me. While not a perfect barometer for web freedoms, Google's annual transparency report provides one of the oldest and most comprehensive datasets of government requests to censor or take down content. A source tell us the trend lines are similar to requests other big web platforms have experienced. The big picture: Data from 2009 to 2018 show that certain countries are much more aggressive in their asks to take content down. Turkey: During and after the attempted coup in July 2016, requests went up in Turkey, mainly because President Recep Erdoğan was trying to silence coup planners, according to an industry source. America: Requests by the U.S. government micmic a high use of internet platform technology overall. 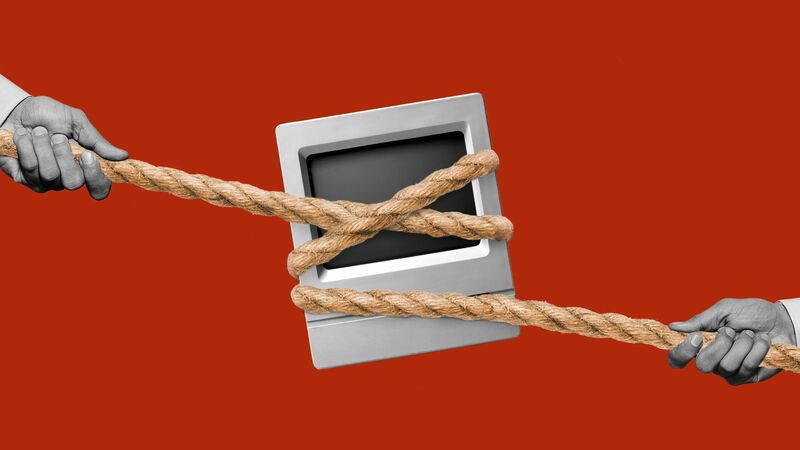 China: It's likely that Chinese officials don't submit many of these requests, simply because it doesn't want to concede publicly just how much users are accessing banned websites via VPNs, the industry source tells Axios. Just days after AT&T finally defeated the government's months-long effort to thwart its merger with Time Warner, the Texas-based phone company announced plans on Monday to restructure its newly-acquired media assets to make it more competitive in today's tech-driven media environment. Why it matters: This has been one of the most dramatic mergers in recent history. A controversial deal approval process combined with a drastic shakeup at WarnerMedia shows just how bitter corporate and real-world politics can get. Details: The overhaul is meant to streamline efforts across WarnerMedia, which will allow it to more efficiently scale its content offerings and bolster its new steaming media service, a product that it hopes will one day compete with the likes of Netflix. Bob Greenblatt, longtime NBC and Showtime exec, has been brought in to oversee WarnerMedia's entertainment and direct-to-consumer division, which will include newly-acquired cable networks, like TNT and TBS, as well as WarnerMedia's premium cable channel HBO. Jeff Zucker, who will continue his role as President of CNN, will now oversee WarnerMedia's News & Sports division, which includes CNN, as well as Turner Sports and Bleacher Report. Kevin Tsujihara, Warner Bros. chief executive, will expand his portfolio to oversee WarnerMedia's Global Kids and Young Adults division, which includes assets like Adult Swim and Cartoon Network. Be smart: AT&T says the restructuring is about creating more content, not cutting costs, but it's hard to imagine that a deal this big wouldn't result in any synergies. The Wall Street Journal reported Tuesday that the biggest cuts will take place Turner, which accounted for much of Time Warner's operating income. Steven Spielberg made waves this week when he suggested that a rules change that would disqualify movies that debut on streaming services or only appear in a short theatrical window from Oscars consideration. He argued that they should be eligible for Emmy Awards instead. Why it matters: Members of the creative community pushed back, arguing that Spielberg was attempting to preserve the old guard. Netflix's "Roma" received three Oscars this year, but was passed up for "Best Picture." As the chart above shows, Netflix now brings in more revenue than the total North American box office. Matthew Ball, former Head of Strategy at Amazon Studios, is out with a new post for REDEF Tuesday that explains why it’ll take years for traditional media companies to produce services that will be truly competitive to Netflix in the OTT (over-the-top) streaming video space. The bottom line: "2019 is supposed to be the year Big Media comes after Netflix, but it isn’t,"Ball writes. "And 2020 won’t really be either." New reports shows ways that fake news is hiding in plain site in America, and how it's getting harder track in real-time. Driving the news: An investigation by fact-checking company Snopes finds that a series of seemingly innocuous local websites, first reported last year by Politico, are being run by GOP consultants whose businesses are funded in part by candidates the websites cover. Another explosive story from The New Yorker shows just how cozy the White House's relationship has become with Fox News. The report notes that former Fox figure Kimberly Guilfoyle relied on information provided to her by a random, far-right viewer with no journalism experience from Georgia. The big picture: It’s been difficult to draw a line between political activism and journalism in the digital era, in part because activists have gotten so good at using technology and their platforms to blur the lines. Our thought bubble: While Congress has invested countless hours grilling tech companies about foreign meddling, far less attention has been paid to these types of misinformation efforts. Yes, but: Netflix rose to the top in part because it was able to exploit a gap in the market years ago around content licensing. The economics right now don't incentivize game publishers to license their content to tech companies. What's next: A likely outcome of the streaming wars will be that tech companies begin by licensing and selling individual games a la carte, says Michael Pachter, a research analyst at Wedbush Securities. Fortnite may be the darling of the video game industry, but a month-old game called Apex Legends is growing far faster than even Fortnite did, at least as measured by signing up users, Axios' Ina Fried writes. The game's creators announced Monday that they have reached 50 million registered players in the first 28 days. It took Fortnite more than 16 weeks to hit that level. Yes, but: Registered users is one measure, but more important to long-term value is ensuring users remain active and generating revenue. Epic Games, the creator of Fortnite, brought in $3 billion in profit in 2018. Why it matters: Fortnite is big, but it should expect competition, given the momentum around esports and gaming. Chinese tech giants build games like Fortnite for lunch. Parents' anxiety about what children are exposed to online can be exploited by misinformed media reports about viral pranks, playing to parents' worst fears. Last week, local news outlets quickly jumped on an old hoax story alerting parents to a creepy doll named "MoMo" being spliced into YouTube videos telling young children how to harm, or even kill, themselves. The stories caused alarm, although there's no evidence this was actually happening. Last month, local authorities in some communities warned parents about a supposed social media trend called the "48-Hour Challenge" which encourages teens to go "missing" in an effort to get pickup on social media. Why it matters: Adults have been worried about their kids' media exposure for generations, but online culture is fragmented and harder for them to track and keep up with. Entrepreneurs are launching news companies on Instagram, in an attempt to reach a younger generation of news consumers on their phones. Why it matters: Their efforts buck the publishing trend that has become resistant to relying on web platforms to launch companies and build audiences. @thismuchiknowglobal - A news startup based around Instagram stories from former British Vogue deputy editor Emily Sheffield is being financially backed by the Guardian's venture capital fund, BuzzFeed News reports. @jessicayellin - A former White House correspondent on CNN is building a new news brand, News Not Noise, on her personal Instagram account. @theshaderoom - A celebrity and entertainment news business that has 15 million Instagram followers. It's lauded for revolutionizing celebrity gossip reporting, nailing its own scoops and breaking them on Instagram. @newsinarush - Disney Channel star Josh Rush has launched a news channel as a side project to explain complicated issues to younger audiences. Yes, but: It's an interesting launchpad, but like any other media company, you eventually need to create your own channels to reach consumers. Jessica Yellin, for example, is also exploring newsletters. She says Instagram, however, is powerful in its intimacy. "I think the real connection comes from the Stories – it’s so intimate. Just talking directly to the audience. The part I like most about this platform is that the audience can DM you right back. In the past I had a huge platform, but I had no idea how it was being received by the audience." Our thought bubble: Instagram can be harder to monetize on and it's difficult to link out from. Its scale makes it good for engagement, but it is probably harder to launch a news brand on Instagram these days than it was on Facebook years ago.